Made up holiday or not, today is “international tracksuit day” and there’s no question that it’s a cultural icon in its own right. From the TMZ-era Juicy Couture velours, to the OG tracksuits personified by adidas’ three stripes, it’s an item that’s not just adapted through the decades, but embodies sportswear’s integration into fashion—well before “cozy boy” and “athlesiure” hit the menswear lexicon. In the ‘60s, as the mid-century prosperity gave way to “space-age” technology, the tracksuit was born. Combining synthetic nylon fabrics, these early iterations set up the foundations for the modern-day tracksuit: a monochromatic pant and jacket set, with stirrups featured on earlier models from adidas. 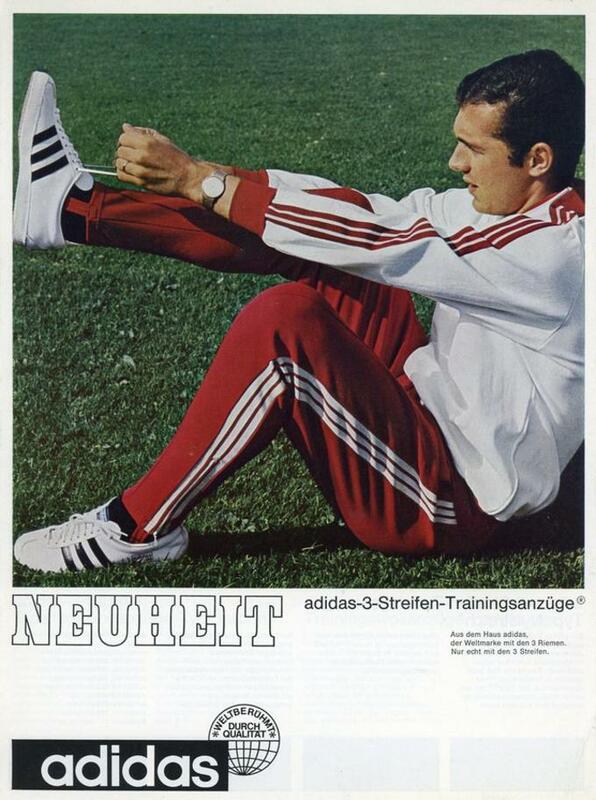 On the topic of adidas, the label’s very first step into producing apparel was—of course—a tracksuit; done in collaboration with German soccer star Franz Beckenbauer in 1967. 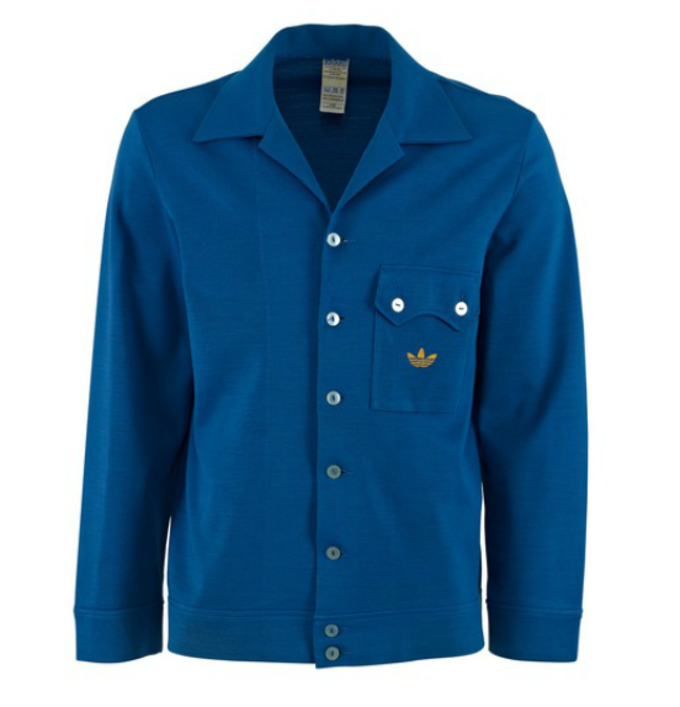 Then worn almost exclusively before or after sports, it was in the ‘70s that tracksuits began to blend with fashion. For a few reasons, the ‘70s are when the tracksuit became a non-athletic staple. Functionally speaking the tracksuit owes much to both jogging and mountain climbing. With jogging’s (soft “J,” natch) popularity rising in the 1970s, and the interest in personal fitness, tracksuits became the go-to gear for the recreational athlete. One of the era’s other athletic fads—mountain climbing—sparked brands like Patagonia to innovate with fabrics that could handle the activity. The same fabrics that were designed to insulate outdoorsmen were inevitably finding new life when applied to tracksuits and tops. But this is also the decade when tracksuits became as culturally relevant as they were athletically. The introduction of warming stretch velours didn’t just make it a comfortable piece to wear while outside, it was something that worked just as well when worn around the house. With the ‘70s deep dive into disco music, the genre created a culture that would blend the casual and the gaudy. It’s a mentality that helped make jumpsuits—and by extension, tracksuits—a far more common sight. Add in the rise of kung-fu films and athletic actors like Bruce Lee—whose streamlined, one-piece tracksuit from Game of Death is a Hollywood icon in and of itself—and the tracksuit could be considered as outfit all on its own. One look at old adidas models from the era prove that the track top wasn’t what we think it is, often taking into account more formal details like collars, button closures, and a focus on tailoring. With the ‘70s also ushering in a more tailored silhouette for tracksuits, it was just a matter of time as the tracksuit rapidly found life away from the track, and in the home. While casual athletics were thriving in the ‘70s, the fitness craze that gripped the 1980’s combined fitness and popular culture like never before, making the tracksuit more mainstream. Newly developed synthetic fabrics, like Gore-Tex and Sympatex made tracksuits even more practical—keeping the wearer comfortable during athletic activity, not just while warming up. Ultimately, this focus on early tech fabrics would make way to “shell suits”; basically the tracksuits that we think of today. While tracksuits of the ‘60s and ‘70s would often lean closer to an insulating sweatsuit, the shell suit consisted of thinner nylon layers, allowing wearers to experience a predecessor to the “wicking” fabrics we see in modern-day Under Armour. Needless to say, jazzercise classes were never the same. But suburban dance studios and fitness classes weren’t the only place to catch a tracksuit or shell suit in action. As the decade’s burgeoning hip-hop scene gave way to a growth in breakdancing, dancers had an incentive to wear tracksuits on two levels. Firstly, a full tracksuit in this time period would be thin and breathable enough without constricting movement. On the other side, most tracksuits weren’t produced in single colors like they were in decades past—instead utilizing an array of brighter colors and graphics. Comfortable and eye-catching? It’s obvious why they caught on as quickly as they did, even without Run-DMC’s pop culture influence. By the ‘90s, the tracksuit itself was entrenched both as an on-field athletic staple, as well as a hip-hop icon. 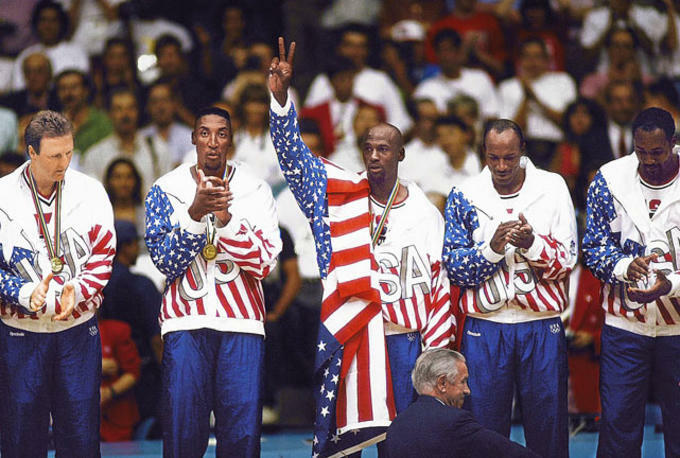 With major Olympic Games in 1992 and 1996, especially with ‘92’s Barcelona basketball “Dream Team,” tracksuits—now covered in vivid graphic designs—were far from dead. While earlier decades focused on a slimmer fit, these renditions were cut with a relaxed silhouette, making them perfect for pre and post-game attire, but also perfect for lounging around. This is also around the time that U.K., soccer-centric “casuals” culture helped propel the style internationally. Starting in the ‘80s and going through the ‘90s, tracksuits were accutely associated with casuals firms among Europeans—and especially in England. As various English soccer clubs proved their might during international tournament play in Italy and France, the club&apos;s supporters would get their hands on tracksuits from Sergio Tacchini and Fila. If a club&apos;s supporters were decked out in the latest tracksuits from abroad, it meant that club was especially good. Basically, tracksuits were a casual&apos;s bragging rights in physical form. Europe’s developing rave scene also co-opted the tracksuit, thanks to its colorful designs, and sheer comfort and utility. Again, you don’t have to play a sport to appreciate sportswear. In a TMZ-filled 2000’s, the tracksuit gained new life as paparazzi shots captured a new wave of celebrities going about their daily lives in soft velour Juicy Couture. In her 2004 wedding to Kevin Federline , Britney Spears decked out her entire wedding party in custom tracksuits. Shows like The Sopranos and films like The Departed attached the tracksuit to mafia culture, giving people an idea of what to wear when you’re giving orders and making money without even leaving the house. But the end of the 2000s saw the tracksuit fade from popular fashion, but would often be reworked and riffed on; paying homage to the tracksuit’s ‘70s roots with non-nylons and discoball-esque fabrics, or nodding to the tracksuit’s decades-long relationship to hip-hop. With designers like Jeremy Scott starting his relationship with adidas in 2008, he took some of the brand’s most iconic pieces and flipped them on their heads. Naturally, this meant that the three stripes’ tracksuit was ripe for a redo. Today’s tracksuit is a unique beast. 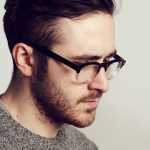 With minimalism as a major design philosophy in the 2010s, most tracksuits carry monochromatic and simplified designs. If you see a tracksuit, likely it’s composed of the synthetic fabrics pioneered in the ‘80s and ‘90s, but styled as though it was a suit from the ‘60s or early ‘70s. With the rise of athleisure in modern-day menswear, cozy boys have co-opted the style for maximum comfort. 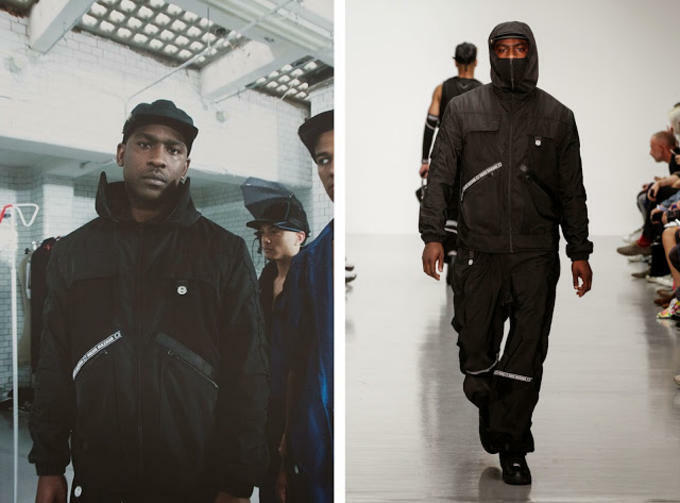 But it’s not just weird clothing-based subcultures that have played a role in the tracksuit’s continued history—as the U.K.’s grime scene expands into a global movement, MCs like Skepta take a modernized, casuals-inspired, sportswear wardrobe and readjust it for the present day. 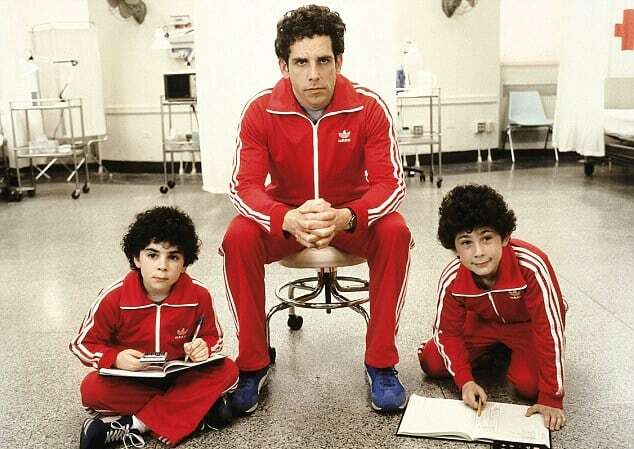 Whether you’re an unwavering ‘70s running fanatic, or simply enjoy an era of hip-hop when velour was the fabric of choice, the tracksuit is a sartorial mainstay—from adidas to Juicy Couture; from Run DMC to Tony Soprano. And, if nothing else, if Rihanna can co-sign a tracksuit in this day and age, we can too.